The family of a Paso Robles man who was shot and killed in January by San Luis Obispo County Sheriff deputies is disputing the department’s account of the fatal shooting. Shortly after midnight on Jan. 24, two deputies pulled over Josh Gallardo, 34, on Highway 101 in Atascadero. Shortly after approaching the vehicle, the deputies fired into the car killing Gallardo. Within hours of the shooting, Tony Cipolla, the sheriff’s department’s public information officer, said deputies had stopped Gallardo after one of the officers recognizing Gallardo’s vehicle from a domestic violence call from seven months earlier. “As the deputies were on patrol this morning, they recognized the vehicle, pulled alongside it as it was traveling southbound on Highway 101 , identified the driver as Gallardo and knew he was wanted on domestic violence charges,” Cipolla wrote in his press release. But on the night he was killed, Gallardo’s truck was in the shop. He was driving a rental car, according to Gallardo’s wife, Francis Gallardo, and Lee Cunningham, assistant district attorney. The Department’s statement about the shooting says that deputies Greg Roach and Jonathan Calvert approached the car. They said Gallardo drew a gun and that is when they opened fire. Mrs. Gallardo said she could not imagine her husband with a gun in his hand. Following the shooting, Roach and Calvert retreated and called for backup. Multiple units arrived, and deputies determined Josh Gallardo was dead. Deputies then retrieved a gun from the rental car, the sheriff’s account says. Also of concern to Josh Gallardo’s family, is the department dubbing him as a transient and a violent person. 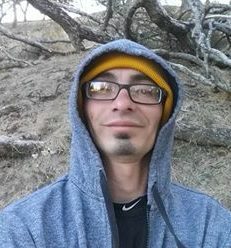 Josh Gallardo was a lifelong Paso Robles resident who was working at Kellogg’s at the time of his death. Before that, Gallardo had worked 14 year at Food 4 Less in Paso Robles. He was a manager when he left Food 4 Less and went to Kellogg’s, his wife said. He was a good employee, said an employee who worked with him at Food 4 Less. Gallardo and his wife were together for 16 years. They have two sons, a 4-year-old and an 11-year-old. But last summer, Francis Gallardo told Josh Gallardo she wanted a divorce. Josh Gallardo then held a knife to his own throat and threatened to kill himself, Francis Gallardo said. Francis Gallardo tried to take the knife from her husband, who pushed her away. Francis Gallardo then called 911 and her husband was arrested on charges of domestic violence, she said. “He was never violent to me, he just pushed me away,” Francis Gallardo said. After Josh Gallardo violated a restraining order, a warrant for his arrest was filed, Francis Gallardo said. Josh Gallardo then moved into his mother’s home, though he would at times stay in a hotel. Following the shooting, the sheriff’s department initiated an administrative review of the incident and placed Roach and Calvert on paid administrative leave. The department finished its investigation a few weeks ago and sent its finding to the district attorney’s office. “We do a review of the evidence and try to make a determination of either justifiable homicide or criminal homicide,” said Lee Cunningham, assistant district attorney. Because of concerns regarding the shooting, Cunningham said the district attorney’s office plans to make at least a portion of its report and findings public, which is expected to take several more weeks. Our Sherriff and his department remind me of someone. The real truth isn’t important, whatever gets me the result I want is the truth.